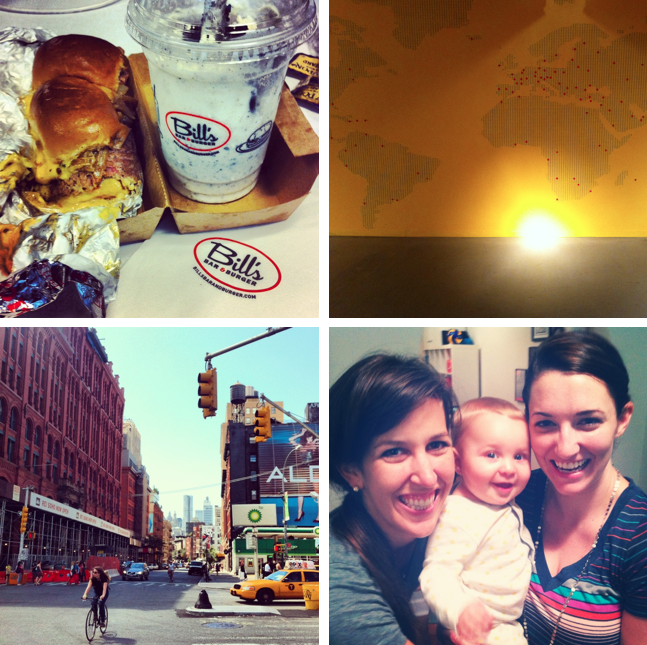 New York was somewhat of a whirlwind trip, but a lot of fun. While I can do without the smoke and pollution that is inevitably inhaled while walking throughout the city, New York has a pulse that is hard to compare. I've always believed the notion that a city is shaped by its people and New York is no different. Everyone in New York from Starbucks baristas to high-powered executives to construction workers on the street to mommies with little ones in strollers seems to have this extra boost of confidence that makes them good at what they do. Sometimes you need to sacrifice something to get something and New York is no exception. Clean air and open spaces are at a premium, but the people, the creativity and the work that goes on in this city is exceptional. To see more pictures like the ones above, follow me on instagram @catfishback. Yay! So fun to see you.